Traditional and trendy pie recipes from DINE kitchens. We’ve entered that food-filled period from harvest to holiday. This is a foodie’s idea of heaven, and the innkeepers at the Distinctive Inns of New England (DINE) are serving up all the wonderful fall-themed foods you can imagine. When we think of the upcoming Thanksgiving holiday, we think of pies. And when we think of New England romantic getaways, we think of sweet treats from DINE. After all, there’s a reason DINE is the acronym for the 12 Distinctive Inns of New England. We’ve scoured through our recipe files and found some very tempting recipes to share with you. 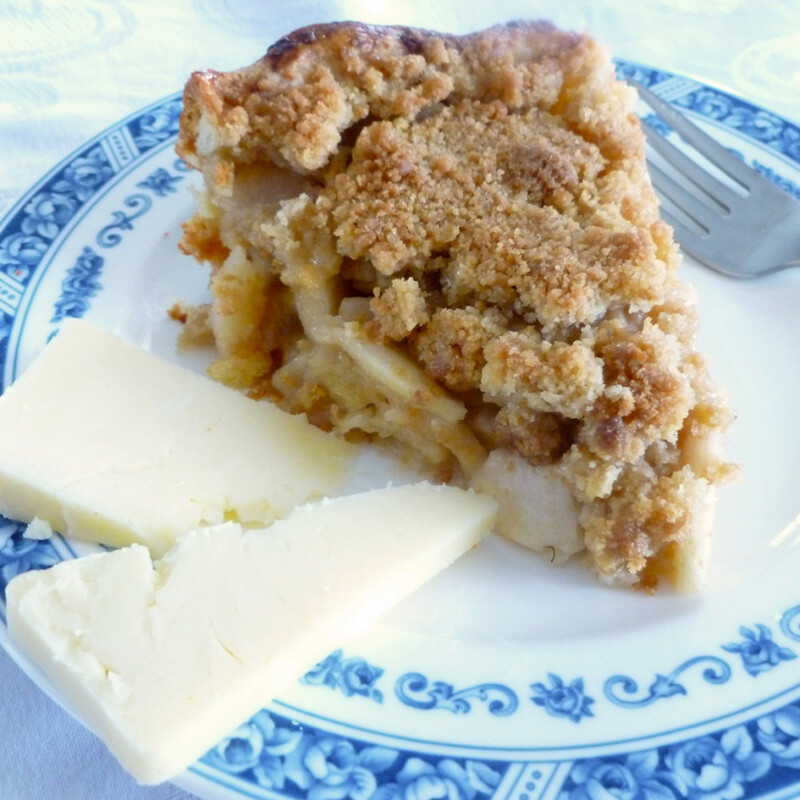 Whether you prefer a traditional apple pie or like to change it up a bit with turning pies to bars or tarts, we’ve got you covered with some wonderful recipes from the kitchens of DINE inns. Sift together the dry ingredients into a bowl and stir them to distribute evenly. Cut the butter into the dry mixture with a pastry cutter or a fork until the mixture includes lumps of flour and butter the size of peas. Stir in the grated cheese and distribute evenly. Add the water and move quickly using your fingertips to work it into a pliable pastry. Flatten it into a disk, wrap in plastic, and refrigerate for at least an hour. 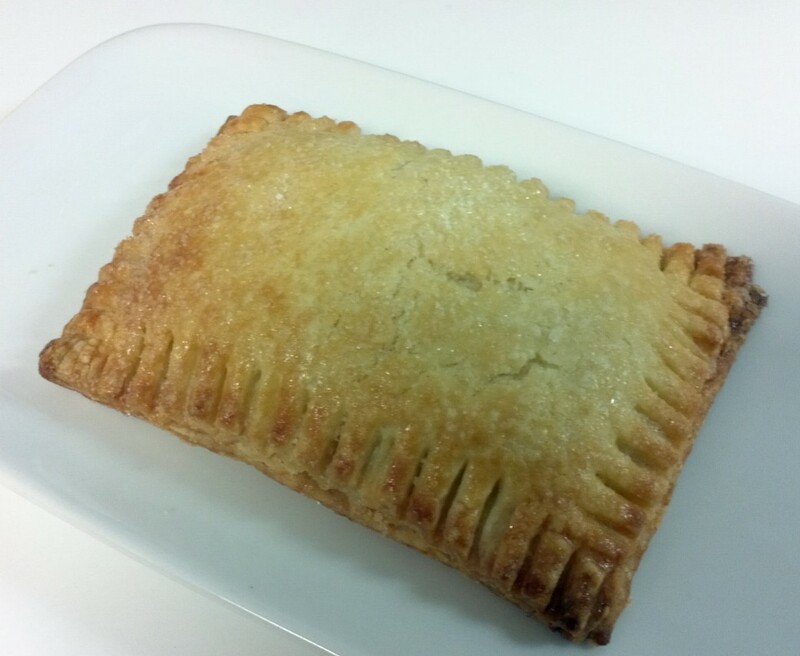 Remove the pastry from the refrigerator 15 minutes before you wish to use it. Roll out the pastry on a lightly floured board using a rolling pin that has been lightly floured. Roll to an even thickness. Wrap the pastry around the rolling pin and unroll it onto the pie plate. Trim the pastry ½ inch beyond the rim of the plate. Use a pastry brush to dampen the edge with cold water and fold it inward. Work up a collar that stands above the rim and flute the edge. Place the pie shell in the freezer if you are not going to fill it immediately. To make the topping, mix the flour and sugar together in a bowl until evenly distributed. Work the butter into the flour with your hands until it is crumbly, reserve. Peel, core and slice the apples into a large bowl. Toss the apples with the candied ginger and cornstarch to coat evenly. Add the maple syrup and toss together. Paint the inside of the prepared pie shell with beaten egg to seal the crust. Prick the pastry in several places with a fork so it does not bubble up during baking. Pile the apples into the pastry. Settle the apples by pushing down gently to remove air pockets and voids. Sprinkle the streusel topping evenly over the pie’s surface. Bake on the bottom shelf of a preheated 400-degree oven for 45 to 50 minutes. The pie is done when bubbly in the center. Allow the pie to cool to room temperature before serving so that it can set. If you wish to serve it warm, place in a moderate oven for a few minutes. Serve with more sliced 4 Year Grafton Cheddar. Cut the butter into ½ inch pieces. In a food processor, process all ingredients together until mixture begins to form small lumps. 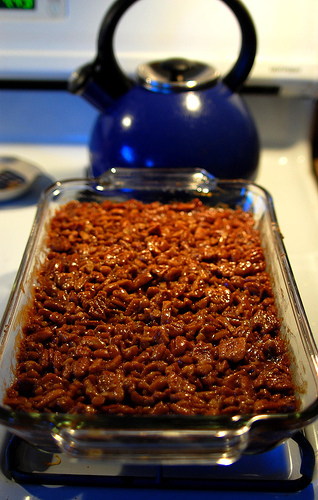 Sprinkle mixture into 13’x9”x2” baking pan with a metal spoon, press evenly onto the bottom. Bake shortbread in the middle of the oven until golden – about 20 minutes. While the shortbread is baking, prepare the pecan topping. In a food processor, coarsely chop the pecans. In a heavy saucepan, melt the butter and stir in brown sugar, honey and cream. Simmer mixture, stirring occasionally for 1 minute and then stir in pecans. Pour the pecan mixture over the hot shortbread and spread evenly. Reduce the oven temperature to 300°. Bake in the middle of the oven until bubbling, about 20 minutes. Cool completely in the pan and cut into 24 bars. Mix all ingredients. Set aside filling. In a small bowl, beat eggs and milk together. Pour milk/egg mixture in food processor. Pulse until dough forms a ball. Place dough on your work table, which is prepped with a little flour to prevent sticking. Knead dough together. Brush your “cover pieces” with egg wash on the inside. Place on top of each filling piece. Use fork to secure edges. Egg wash the tops. Then sprinkle with sugar. And for those who prefer their pies to be a bit healthier, and gluten free too, consider this savory crustless breakfast pie. Grease a 13x 9 –inch glass baking dish. Spread the cheese over the bottom of the prepared baking dish, dot with butter. Layer with sautéed onion and cooked bacon. Stir the powered mustard, salt, and pepper into the cream and pour half of this mixture over the cheese. Pour the remainder of the cream mixture on top. Of course, enjoying sweet treats fresh from the DINE kitchens is the best way to try these recipes. This is the perfect in-between time to get away before the holidaze. Simply lick on the links below to visit any of the 12 DINE inns. 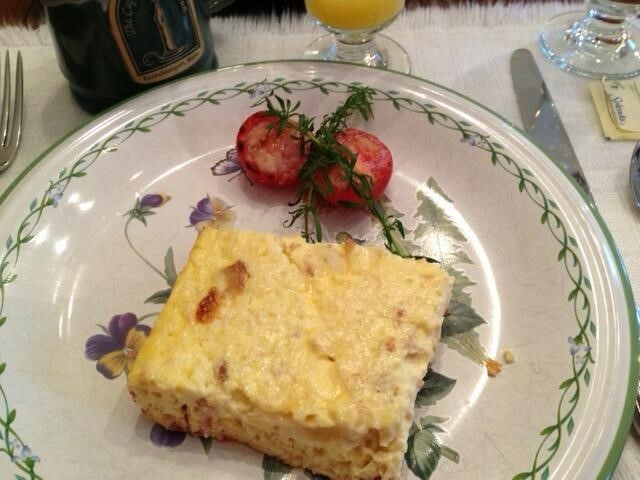 This entry was posted in advice, Captain Jefferds Inn, Captain's House Inn, Grafton Inn, Rabbit Hill Inn, Recipe and tagged hand pie recipes from Rabbit Hill Inn, New England inn pie recipes, New England innkeepers pie recipes, pecan pie bars, Pecan Pie Bars from Captain's House Inn, Pie recipes, pie recipes from Distinctive Inns of New England, pie recipes from New England B&Bs, pie recipes from New England inns, Pumpkin Pie Pop Tarts, Quiche Lorraine recipe, Quiche recipe, Quiche recipe from Captain Jefferds Inn, Thanksgiving pies, traditional apple pie recipe, Vermont Apple Cheddar pie recipe by DINE Blogger. Bookmark the permalink.